Neighborhoods throughout the City of Auburn Hills are invited to join over 38 million neighbors across approximately 16 thousand communities from all 50 states, U.S. territories and military bases worldwide. 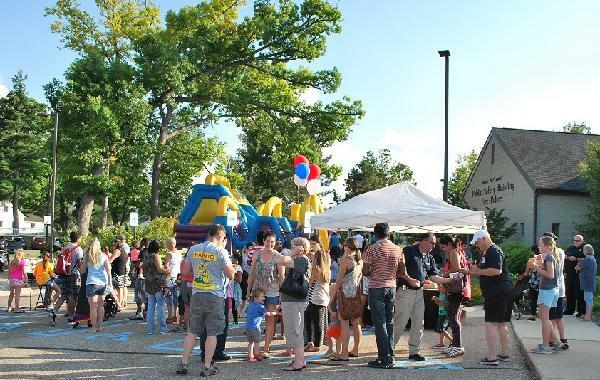 National Night Out is nationally sponsored by NATW, Dietz and Watson, Ring, Associa, Package Guard and co-sponsored locally by the Auburn Hills Police Department. From 6 p.m. to 8 p.m., neighbors throughout Auburn Hills and across the nation are asked to lock their doors, turn on their front porch lights and spend the evening outside with neighbors and law enforcement. Along with the traditional outside lights and front porch vigils, most communities celebrate Nation Night Out by hosting block parties, festivals, parades, cookouts and other various community events with safety demonstrations, seminars, youth events, visits from emergency personnel, exhibts and more. Nation Project Coordinator, Matt Peskin said, "This is a night for our nation to stand together and promote awareness, safety, and neighborhood unity. National Night Out showcases the vital importance of police-community partnerships and citizen involvement. When law enforcement and the community work closely together, some amazing things can happen." The 35th National Night Out on August 7, 2018 from 6 p.m. - 8 p.m. returning to one venue - the Auburn Hills Community Center, 1827 N Squirrel Rd. This year's event is focused on strengthening relationships throughout the community and raising crime prevention awareness, which is the true purpose of National Night Out. The event's focus will be providing prevention tools on Active Shooter Response for kids and adults to enhance preparation for this serious problem. Officer Brian Miller is the event coordinator for 2018. He is excited about the opportunity and is looking forward to continued work with the community. For more information: Contact Officer Brian Miller at 248.364.6887. To learn more about National Night Out, please visit: www.nationalnightout.org.